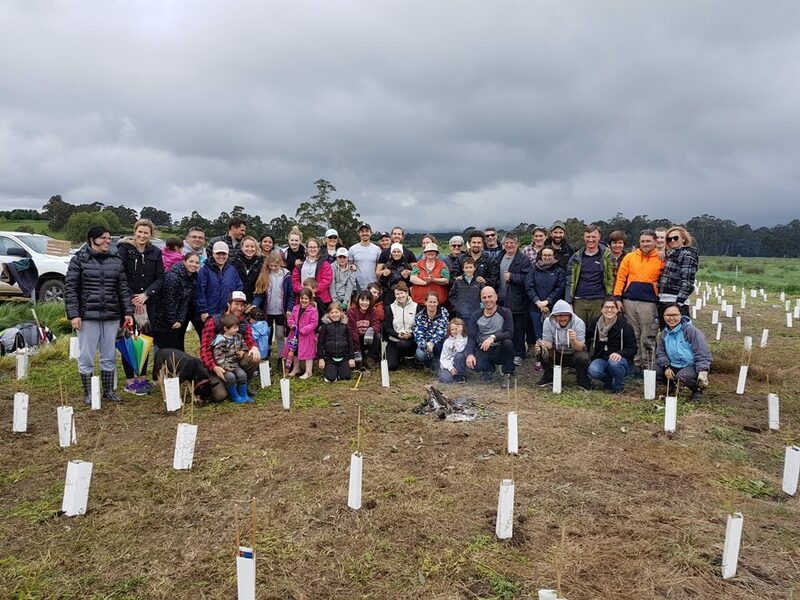 Around 50 volunteers joined Pana Chocolates to help re-plant native vegetation at the historic Coranderrk Estate. 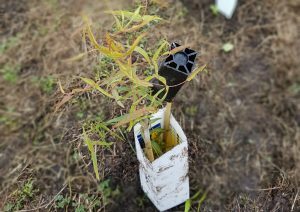 Over 2,000 plants were planted in fantastic effort, no doubt aided by the delicious chocolates and cakes provided by Pana. This planting day contributes to Pana Chocolate’s impressive total of 50,000 trees planted in the past 4 years. Coranderrk was established as an Aboriginal reserve for the Kulin Clans of Central Victoria in 1863, in 1999 and a small proportion of this original reserve was handed back to Traditional Owners, the Wandoon Estate Aboriginal Corporation. This planting day contributed to a larger plan to restore the property to a sustainable farm with a high focus on environmental conservation. The current environmental restoration project on the property include controlling environment weeds such as blackberry and thistles and establishing large corridors of native vegetation across the property, made up of 20,000 plants protected by over 5 kilometres of fencing. 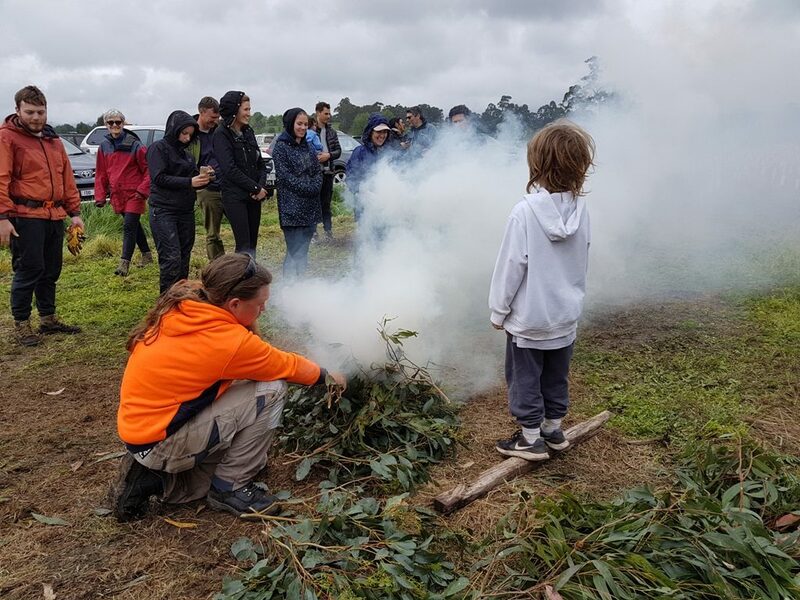 This larger project is supported by the PPWCMA’s Yarra4Life program, through funding from the Australian Government’s National Landcare Program. 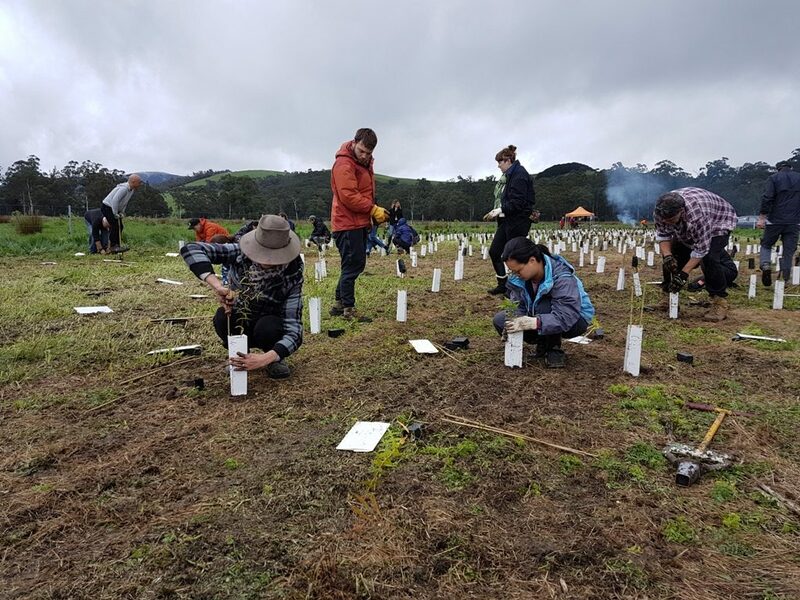 With additional support from local groups including the Friends of the Helmeted Honeyeater and the Yarra Ranges Landcare Network.